Happy Valentine’s Day! 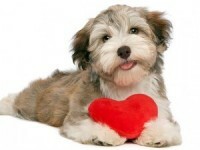 Read on for a list of fun Heart-shaped facts about your dog from our very own Ashleigh Elson! After months of planning and searching you finally bring your sweet little fur-ball home. You’ve done everything right. You’ve crate trained him, you’ve made sure he has the softest bed. At Follow the Leader we always like to be as fair as possible. If we can, we like to equally represent both sides of an argument, issue, or criticism. 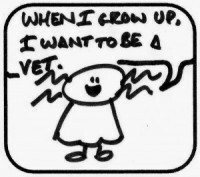 Sometimes the safety of your dog depends on good communication with your Vet. Find out how to be better informed and make smart choices! Ever heard of “chicken camp”? Hear about our experience and what it taught me about our canine companions. Have you ever thought about how difficult Halloween might be for your dog? Find out why and what to do about it. 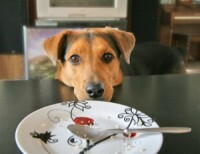 In a “Dog Eat Dog” world, we’re taught to believe that our dogs want the upper hand, but is this really true? Find out what Darwin and other scientists have to say about cooperation in the animal kingdom. Does your puppy flop down on the sidewalk and refuse to move? Find out why he’s doing it and what you can do to help.